Review: The English Beat, 'The Complete Beat' Ed Ward reviews the reissued catalog from the multiracial, multi-generational ska band. The two friends started writing songs together — and then, needing jobs, were recruited by a firm making solar panels on the Isle of Wight. There, they rehearsed with a group hoping to make some extra money, only to find out that it was going to be a Thin Lizzy tribute band. So Wakeling and Cox put a classified ad in the local paper for a bassist, and David Steele showed up with a bunch of his own songs under his arm. After a couple of rehearsals, Wakeling and Cox quit their jobs, Steele quit school, and they went to Birmingham to get serious. Steele got a job in a mental hospital, where they met a nurse whose best friend was dating a drummer, Everett Morton. The Beat was born. Not everything they played was ska — which, ironically, was how Ranking Roger got into the band. I say ironically because he was a black punk, playing drums with another group, and his other trick was rapping, Jamaican-style, over punk tracks. After his band opened for The Beat, he started following them around and doing this live until they asked him to join. The Beat was already multiracial, and with the addition of its next member it became multi-generational. Saxa, whose real name was Lionel Augustus Martin, was a fiftyish Jamaican saxophone player who'd played with a number of ska stars — and, he claimed, The Beatles — in his day. Now that the band was together, it was time to make a record. The British music industry thrives on novelty, and few groups were as novel as The Beat. Except that, not far away in Coventry, it turned out that there was already a whole scene of biracial ska-punk bands. 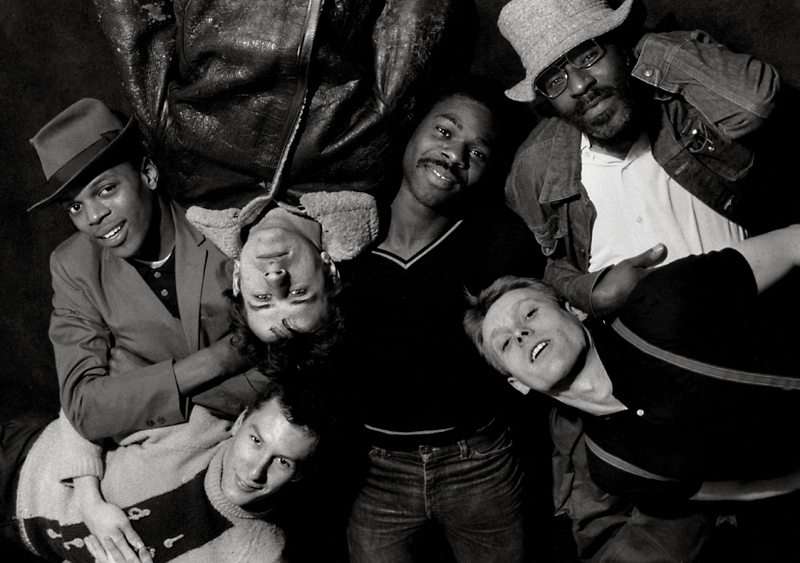 Led by The Specials, and recording on their label Two-Tone, they made a sudden splash in the pop press, so The Beat headed up to Coventry to see if it could join the party. As it turned out, it was welcome, but it balked at signing a full contract with Two-Tone, preferring to just record one single. Nine months after the band formed, it had a Top 10 hit at the end of 1979 with its reworking of the Smokey Robinson classic "Tears of a Clown." Hearing that The Beat hadn't signed any further obligations to Two-Tone, Arista Records approached the band, giving it its own label, Go-Feet, to work with. Right away, it started knocking out Top 10 singles. This was followed quickly by a first album, I Just Can't Stop It, and by the realization that there was already a band called The Beat in America, fronted by a guy named Paul Collins. Lawyers went to work, and when the smoke cleared, there were two groups: The Paul Collins Beat and The English Beat. The latter toured relentlessly, and almost caught on in America, but a couple of the members weren't happy with not having time to write new material. This may account for why their second album — Wha'ppen? — wasn't quite the sensation its predecessor was, with fewer obvious hits on it, but more serious politics than before. In the early '80s, the British press was all too eager to discard yesterday's band, and it paid scant attention to the third Beat album, Special Beat Service — which is a shame, because in many ways it was the group's best. But this was the album that broke The English Beat in America, where it toured successfully with a new lineup, including a piano player and a new saxophonist to replace Saxa, who had quit the road. Touring, though, didn't make much money, and American success came too late. 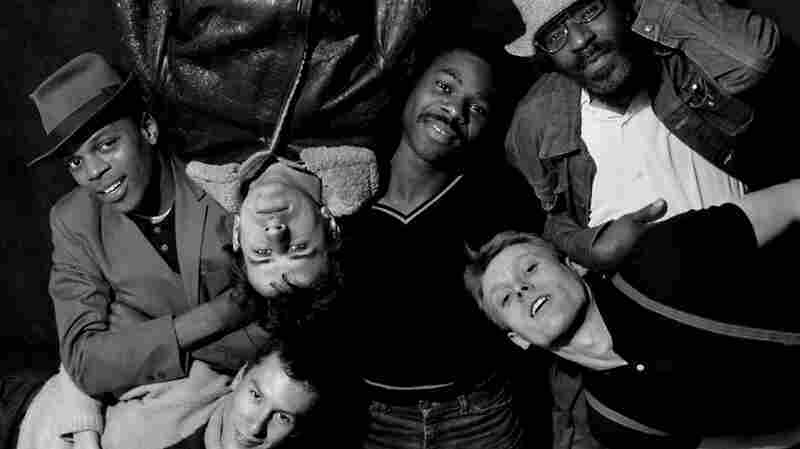 By the end of 1983, The English Beat was no more. Dave Wakeling and Ranking Roger started a band called General Public, and Dave Steele and Andy Cox formed Fine Young Cannibals, which had a number of hits between 1985 and 1989. There have been a couple of English Beat revivals, with Dave Wakeling fronting an American version of the band and Ranking Roger a British one, but it's their four brief years together that we'll remember.